The tribute album called “Gentle Giants: The Songs of Don Williams” is to be released on May 26th on Slate Creek Records, and features an all-star lineup including Keb’ Mo’, Dierks Bentley, Garth Brooks, Brandy Clark, Jason Isbell & Amanda Shires, Alison Krauss, Lady Antebellum, Pistol Annies, John Prine, Chris and Morgane Stapleton and Trisha Yearwood. All proceeds from the album will be donated in support of MusicCares. ​Keb’ Mo’ is set to appear as a guest at several Experience Hendrix Tour shows in 2017. Check out the Tour page for a list of dates / locations where Keb’ scheduled to play. Experience Hendrix Tour is back for 2017! Every pair of tickets purchased from participating venues comes with the latest Jimi Hendrix CD Machine Gun: Fillmore East First Show 12/31/69. To witness this incredible musical experience first hand AND receive the CD of the new Jimi Hendrix album, Machine Gun order your tickets online beginning 9/30/16. The 2017 Experience Hendrix Tour presents the music of Jimi Hendrix performed in concert by an all-star lineup of guests including: Billy Cox, Buddy Guy, Zakk Wylde, Kenny Wayne Shepherd, Jonny Lang, Dweezil Zappa, Chris Layton, Mato Nanji, Noah Hunt, Doyle Bramhall II, The Slide Brothers, Ana Popovic, Keb’ Mo, Beth Hart, Henri Brown and more. Visit the Experience Hendrix Tour website for more info! Keb’ Mo’ Hot Pink Blues Fall Tour! ​Keb’ Mo’ and his band are about to embark on another tour starting on September 10th at the Big Blues Bender Festival in Las Vegas! The majority of the tour dates are in the East and West Coasts with a week long cruise in the Caribbean. The tour concludes with two shows in Texas. 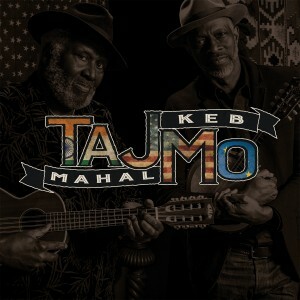 New double album Keb’ Mo’ LIVE! Keb’ Mo’s new LIVE album is a 2 disc set featuring 16 songs including: Life Is Beautiful, A Better Man, She Just Wants To Dance, Dangerous Mood and other fan favorites. The new album is available on iTunes, Amazon, and Keb’ Mo’s Online Store.